You can make an appointment with a Doctor, Nurse or other member of our healthcare team by phoning the surgery or by calling in person when the reception is open. Our doctors and nurses have arranged their clinic times so that we offer a wide range of appointment times both before, during and after normal office hours. We also offer extended hours clinics every 4th Saturday morning for those who have difficulty in attending appointments during their working day. The appointments in these extended clinics are pre-bookable, it is not a drop in service for on the day treatment. We have doctor, nurse and healthcare assistant appointments available, and the clinics are held at our Mounts Bay branch surgery in the Sainsbury's store at Easter Green. You will never be refused to see a Doctor if one is available. If you no longer need your appointment please let us know. Please remember that appointments are for ONE person only. If you feel your consultation may be lengthy, ask the Receptionist for a DOUBLE APPOINTMENT when you book. Please call for an appointment on 01736 363741. Lines are open from 8.15am Monday to Friday. There are appointments in the morning and in the afternoon. Appointments are booked up to four weeks in advance; urgent cases and minor illnesses are always seen on the day. 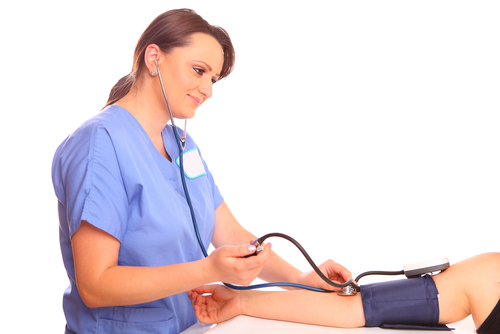 The nurses appointments are mainly pre-bookable with only a few same day appointments for urgent matters. It would be very helpful if you could give the receptionist an idea of what your appointment is for so that she can book you into the appropriate clinic with the appropriate nurse and allow adequate time for the procedure. We have recently increased our pre-bookable appointments now so half are bookable two weeks in advance. The remainder are reserved for patients who need to be seen on the day. All morning appointments are pre bookable and all afternoon appointments are avaailable to book on the day. Historically we have found that that the more appointments that are able to be booked in advance, the higher the non-attendance rate becomes and we have insufficient urgent, same day appointments. If you experience repeated difficulties in this regard, please contact the Practice Manager. In addition, we offer routine doctor, nurse and healthcare assistant appointments on Saturday mornings between 08.30 and 12.30. These clinics run every four weeks at our Mounts Bay Surgery which is located in the Sainsbury's store at Eastern Green in Penzance. These clinics are called ‘extended hours’ and are for pre-booked appointments only, it is not a drop in service. Appointments to see one of the doctors can be booked up to two weeks in advance, nurse and healthcare assistant appointments can be made up to six weeks in advance. These appointments are ideal for routine follow up appointments with a doctor/nurse. They are not for urgent medical problems or emergencies. These appointments are ideal for patients who work full-time or are in full-time education; patients who find it difficult to attend the surgery during usual opening hours. If you are able to attend during usual opening hours please do not book an appointment in extended hours. Please leave these appointments for patients who have genuine need. The purpose of ‘triage’ is to ensure that all patients are dealt with fairly by an appropriate member of the team and to ensure that problems are dealt with urgently if necessary. You may be asked for your name, telephone number and a brief description of the problem. All staff adhere to strict terms of confidentiality. We will endeavour to contact you within the hour and therefore ask that you remain available for this time – if your condition deteriorates you should telephone the surgery again.